Hexawise has a handy feature for reviewing test plans. 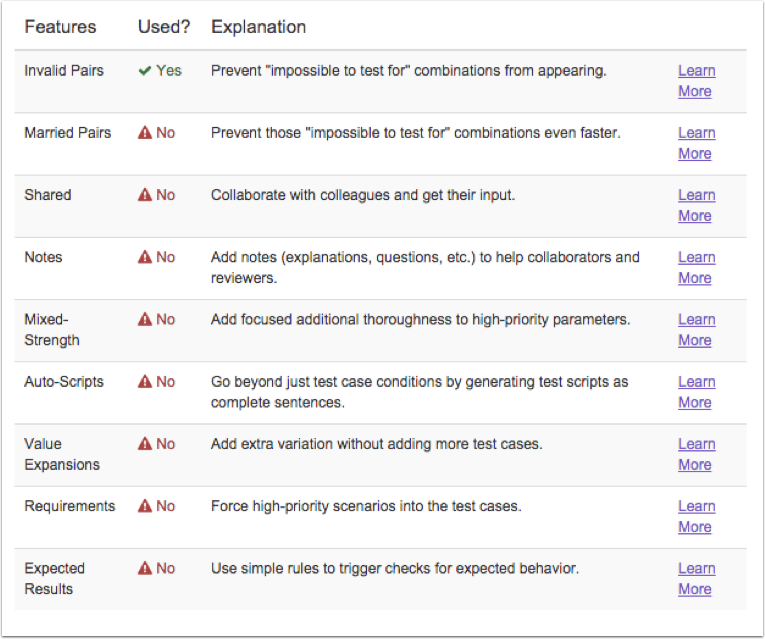 Advanced users will benefit from having a checklist of sorts for their test plan review. The Plan Scorecard is available from the "Analysis" screen. To take full advantage of the Plan Scorecard, it is recommended that you generate a set of tests first. That way, you’ll know the most up-to-date analysis of your plan. Hexawise remembers each feature used on each plan. After you create a plan, use the Plan Scorecard to review your usage; see what you have used, and which ones you might want to use. To learn more about how the plan scorecard reviews your test plan, see the Plan Scorecard help file.